Below you fill find all funeral homes and cemeteries in or near Mount Pleasant. Suburbs of Mount Pleasant: Mt Pleasant. 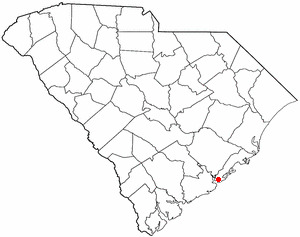 Mount Pleasant is also known as: Charleston County / Mount Pleasant town. Their current mayor is Mayor Linda Page. Zip codes in the city: 29464, 29465, 29466. Some of the notable people born here have been: Dexter Coakley (american football player), Amanda Baker (actor), Shelby Rogers (tennis player), Barry Richardson (american football player), and Lurie Poston (actor and child actor). Mount Pleasant is a large suburban town in Charleston County, South Carolina, United States. It is the fourth-largest municipality in South Carolina, and for several years it was one of the state's fastest-growing areas, doubling in population between 1990 and 2000. The population was 67,843 at the 2010 census, and the estimated population in 2014 was 77,796. It is the third-largest municipality in the Charleston – North Charleston – Summerville metropolitan area, behind Charleston and North Charleston.At the foot of the Arthur Ravenel Bridge is Patriots Point, a naval and maritime museum, home to the World War II aircraft carrier USS Yorktown, which is now a museum ship. The Ravenel Bridge, an eight-lane highway that was completed in 2005, spans the Cooper River and links Mount Pleasant with the city of Charleston. It was reported on January 6th, 2019 that Robert Ernest "Bob" Bodman passed on in Mount Pleasant, South Carolina. Bodman was 90 years old and was born in New York City, NY. Send flowers to share your condolences and honor Robert Ernest "Bob"'s life. It was revealed on June 27th, 2018 that Ben Joel Drymon passed away in Mount Pleasant, South Carolina. Drymon was 52 years old and was born in Sarasota, FL. Send flowers to express your sympathy and honor Ben Joel's life. It was revealed on May 10th, 2018 that Frances Frampton (Buck) passed on in Mount Pleasant, South Carolina. Ms. Frampton was 78 years old and was born in Wilmington, NC. Send flowers to express your sorrow and honor Frances's life. It was noted on April 22nd, 2018 that Patricia "Patti" Maher (Dunleavy) died in Mount Pleasant, South Carolina. Ms. Maher was 70 years old and was born in Akron, OH. Send flowers to share your condolences and honor Patricia "Patti"'s life. It was written on March 25th, 2018 that Herminio Garibay "Sal" Saldajeno passed away in Mount Pleasant, South Carolina. Saldajeno was 92 years old and was born in Negros, . Send flowers to express your sorrow and honor Herminio Garibay "Sal"'s life. It was revealed on March 11th, 2018 that Arilys LaVaughn Drane (McGary) passed on in Mount Pleasant, South Carolina. Ms. Drane was 91 years old and was born in Norwalk, WI. Send flowers to express your sympathy and honor Arilys LaVaughn's life. It was revealed on March 2nd, 2018 that Lorraine Bukowsky perished in Mount Pleasant, South Carolina. Bukowsky was 75 years old. Send flowers to share your condolences and honor Lorraine's life. It was written on February 11th, 2018 that Mary Virginia Gibson (Smith) passed away in Mount Pleasant, South Carolina. Ms. Gibson was 88 years old. Send flowers to express your sorrow and honor Mary Virginia's life. It was disclosed on February 8th, 2018 that Janet Louise Skotko (Yuknavich) perished in Mount Pleasant, South Carolina. Ms. Skotko was 70 years old and was born in Spangler, PA. Send flowers to share your condolences and honor Janet Louise's life. It was disclosed on January 8th, 2018 that Franklin Edward Mayo died in Mount Pleasant, South Carolina. Mayo was 73 years old and was born in Covington, VA. Send flowers to express your sympathy and honor Franklin Edward's life. The secession convention met in Charleston December 20 1860. In 1706 the Province of Carolina withstood several attacks by the Spanish and the French and were victorious in defeating French invaders in an area known as “Abcaw”. After the original park owner died in 1975, operations of the Riverside property were taken over by Charleston County who eventually sold it to a company that developed it into a gated community. Music performances at the Pavilion spawned Juke joints, or night clubs, in Scanlonville and eventually a hotel called White’s Paradise – where James Brown was known to have frequented. Mount Pleasant is a suburban town in Charleston County, South Carolina County, South Carolina, United States, within the Charleston, South Carolina Charleston, South Carolina Charleston–Summerville, South Carolina Charleston-North Charleston-Summerville metropolitan area Statistical Area. The official website for the city of Mount Pleasant is http://www.tompsc.com/. Also surviving are a son, John Walker McCarron of Mount Pleasant, S.C.; a daughter, Laura Pareizs of Augusta, Ga.; two brothers, Larry and David McCarron; a sister, Alice Kaib of Butler; and six grandchildren. A service will be held Friday in South Carolina. Funerals in Mt Pleasant, SC on Yahoo! Local Get Ratings & Reviews on Funerals with Photos, Maps, Driving Directions and more. Our 12-Step Complete Cremation Service offers attention to detail, fair pricing, high quality service and comprehensive support to Mount Pleasant, SC. Halls, Sam - Johnson-Halls Funeral Home, Mt Pleasant, SC : Reviews and maps - Yahoo! Local, 843.884.4252. Get Ratings, Reviews, Photos and more on Yahoo! Local. We work with local florists and flower shops to offer same day delivery. You will find budget sympathy flowers in Mount Pleasant here. Our funeral flowers are cheap in price but not in value.